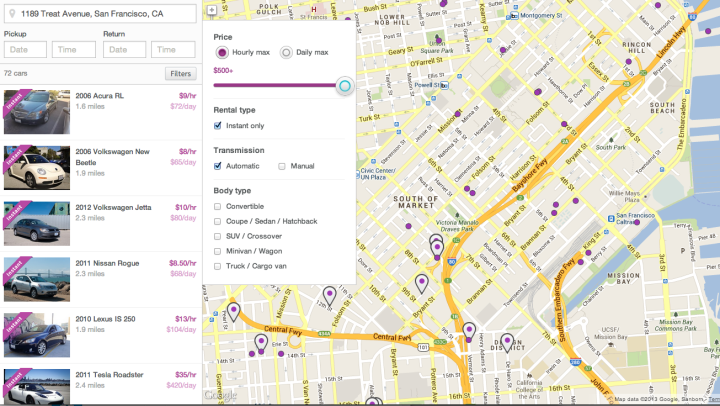 We recently launched a new search experience that is designed to emphasize cars in your local area. We now highlight active cars with the most responsive owners to increase the likelihood that each rental request is approved. You can also choose to filter your search by body type, price, rental type, and transmission. We kept hearing that our bundling system was complicated and confusing. We’ve removed bundles to it easier to rent the car you really want whether it’s an Instant car or an active request based one. Please note, that without bundles each request is treated uniquely. Anytime you request a car, a hold will be placed on your account for the amount of the trip. We realize this is not ideal and we’ll be changing this soon. Understanding what’s expected of you as a renter can be hard. Now, car profiles clearly state the rules and policies when renting a car on Getaround. In order to help ensure a consistent and trusted experience for owners and renters, we want to set clear expectations at the start of each trip. You’ll now see clear information about mileage limits, smoking and pets policies, and gas and transmission type on the car profile and trip confirmation page. We hope these updates make sharing on Getaround even easier. We have plenty more in store before the end of the year, and will be updating the blog with exciting changes very soon!